The magnitude of online retail not only makes it important to business owners, but at times daunting too, and some companies go to lengths to avoid becoming part of the e-commerce world. My business has been going for thirty-five years now, and throughout the course of its lifetime, there have been plenty of new trends and standards that I have had to adjust to, with perhaps the most significant one being the emergence of e-commerce. 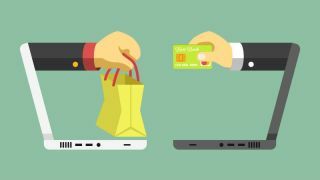 The magnitude of online retail not only makes it important to business owners, but at times daunting too, and some companies go to lengths to avoid becoming part of the e-commerce world. But resisting this transition can be the death knell of a fledgling company, and those who still haven’t logged on are already lagging behind the rest of their competition and making life much harder on themselves. Here are five compelling reasons to shake off the reluctance and dive into e-commerce. There is a whole world out there, and global trade is in full swing, so why limit yourself so extremely by only reaching those who happen to walk by your single high street location? In order to achieve its potential, a business has to spread the word far and near, and offer customers everywhere the chance to purchase its wares, and there are so many channels through which companies can gain new interest. From social media to competitions, mailing lists to exclusive offers, proper use of e-commerce gives way to many engaging and fruitful methods of attracting new customers. This should be a priority when setting out into e-commerce, and if you are unfamiliar with the many possibilities when starting out, it is wise to enlist the support of someone who knows e-commerce and can guide you through your various options. When running a business, the simple equation of operating where the widest customer base is holds true. On a smaller scale, would you rather have a shop in the centre of a busy shopping mall, or in a run-down backstreet of town that rarely gets visited? Business owners are faced with a similar ultimatum when resisting the move to e-commerce. By giving your company an online presence, you open yourself up to a wider audience, who now know that you are fresh, up-to-date and modern in your approach. Customers like to see a business that moves with the times, and those that don’t have Twitter, or won’t take card payments are only going to alienate the customers they have. Don’t risk losing the loyalty of your customers - follow the crowd and keep up with expectations to the very best of your ability. The surge of e-commerce has led to the development of many very useful retail software that compile data that would be difficult, if not impossible, to gather otherwise. When you know which items a particular customer is browsing and for how long, and the products that they end up purchasing, you are in a far stronger position to make recommendations to them that they will take you up on. Software can help you to build individual profiles for every online customer, that detail their relevant information - such as size for clothing - and personal tastes, in order to generate automated suggestions that they are most likely to enjoy. Not only does this drive sales figures in the short- and long-term, but it shows your customers that you take interest in them and pay attention to them as individuals. A customer who feels valued is far more likely to reward you with their loyalty, and that is a vital driving force in any healthy business. Knowing your customer inside and out is the 21st century answer to upselling, and in many cases, it is hugely successful. Not only does e-commerce help you to understand your individual customer, but it gives you a much clearer insight into your market as a whole. Much of survival in business comes from knowing your industry inside out, and being able to anticipate changes or trends before you miss out on them. Again, specialist software will help you here, collect data automatically, and compile it in digestible ways that you can use to your advantage. These figures are of particular value when it comes to making projections for future quarters, applying for investment and other upgrades, and planning for busy or difficult periods. By knowing your market as a whole rather than in individual pieces, you are in a far stronger position to survive your market, grow your business and reach new heights. Every one of the above reasons to bring your business up to date with e-commerce comes back to the same result: money. When you set out in business, it is a pretty fair assumption that you are doing so to earn good money, among other reasons. If you have been financially successful thus far, without creating an online presence or selling via a website, then consider just how much more you have to gain by expanding your customer base so widely. Your business stands to gain many new clients, more loyalty, more money and ultimately, better chances of longevity by throwing open the doors and inviting one and all to join the party. If no other reason compels you to get into e-commerce, let it be this bottom line: keeping up leads to improved financial success. The advent of the internet has brought about more transformation than could ever have been predicted, and many of them have affected the way we do business. From online payment systems and instant communication to vast catalogues and global trade, so much more can be achieved in business today than it could be twenty years ago, and these many opportunities should be used to their fullest in order to keep your company modern, able to keep up with demand, and flourishing.